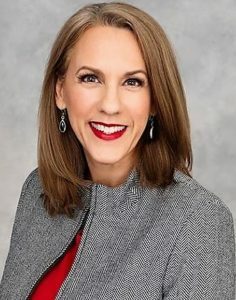 On May 8 the Greater Phoenix Chamber of Commerce is hosting Amy Bruske, Principal and President of Kolbe Corp.
Bruske will provide tools for attendees to understand how misguided beliefs about work are causing unnecessary stress, and she will provide key strategies to manage your mental energy for optimal performance. She specializes in HR consulting and leadership development, and she is one of only three Senior Master Consultants in the Kolbe Concept™—the authoritative theory for human instinct and performance. Together with Kathy Kolbe, Amy co-authored the book “Business is Business,” noted as a “groundbreaking” guide for building and sustaining a successful family business. Her long career in business and her expertise in management make Bruske an expert navigating people and well-intended advice. Join the Chamber on May 8 to learn more and build your toolset! Question: What has been the most impactful event or learning experience in your career? How did this occurrence help you to grow or develop? Answer: I took a crazy job promotion when I felt I was far too young and far too inexperienced. Moving across the country, leading a division of a large company at 24 or 25 years old was scary. It was risky. And it turned out to be a tremendous learning experience. I grew both personally and professionally. I learned to be willing to trust others when they believe in me. Question: You’re very involved in the community (with an emphasis on mentorship), why is community involvement important to you and how to do you make space for it in your everyday life? Answer: I only take on one formal mentee a year so that I can make a bigger difference. As a company, we allow dedicated time in my work schedule for mentoring and speaking to various groups. I am passionate about making sure people don’t end up hating their careers, so I speak as often as I can to help people figure out their unique strengths and their unique paths. Question: As a female, small-business owner, what advice would you give to women interested in starting their own business? Answer: Try to manage your energy, not your time. Conserve your mental energy for the highest and best use of your talents. Small decisions may not be the best use of your time. This also means you have to say NO to a bunch of stuff and find help wherever you can get it. (Note: that doesn’t mean you should immediately hire friends and family just because they’re around. First, make sure their strengths complement yours and that they’ll add value to the business). Answer: My other recommendation is to stop following “good” advice! Specifically, what works for somebody else may not work for you, and it may not be complete. Advice like “follow your passion” is incomplete advice! There has to be more to it than that. Start by discovering and using your individual strengths and then learn how to build a team around you. Join the Greater Phoenix Chamber of Commerce for the next Professional Women’s Alliance luncheon on Tuesday, May 8. Register today!